Pretty snazzy looking Prevost there Charlie. I can understand those folks heading south; I just checked the weather and Sunday's high in Dieppe is 30°F and Orlando's is 87°F! 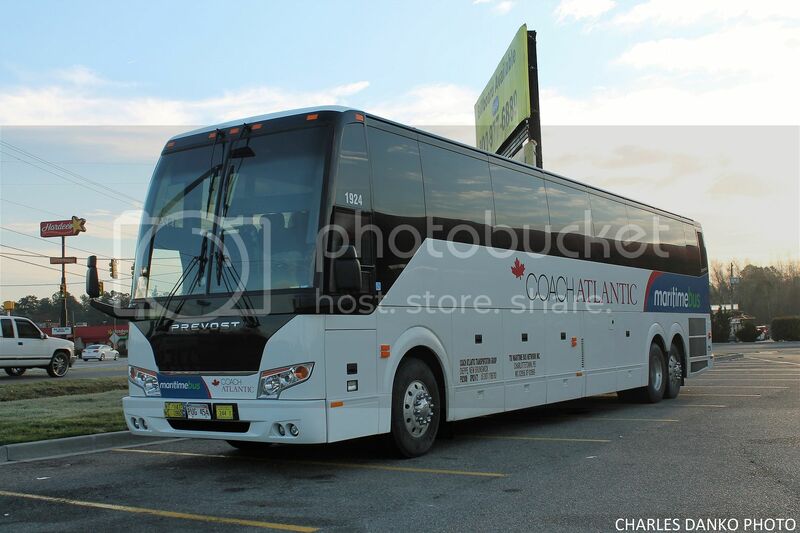 I should have taken a picture of the back of the coach...…….it was DIRTY DIRTY DIRTY. About an hour or so later I spotted another bus from the same company going south on I-95 so quite a few folks were opting for warmer weather.